DHARNA NOOR: It’s The Real News. I’m Dharna Noor in Baltimore. 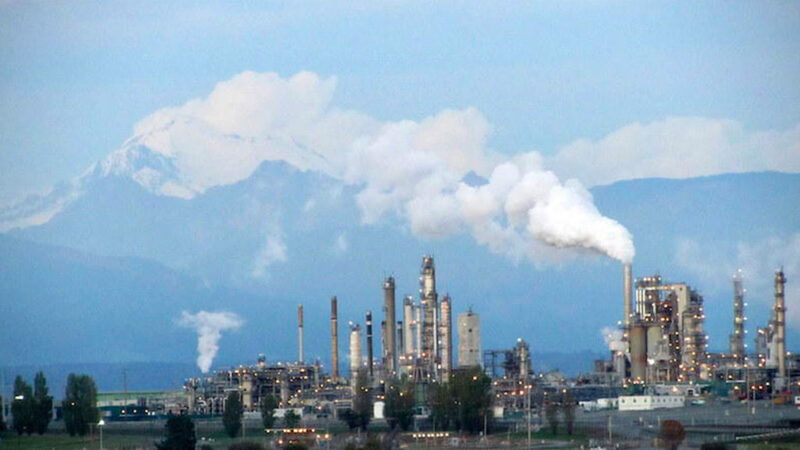 On Monday, a six-month moratorium on the construction or expansion of fossil fuel facilities passed in King County, Washington, the county that includes Seattle, joining a number of other localities in the Northwest who have passed similar legislation. Councilmember [Dave] Upthegrove introduced the ordinance, which declares a state of emergency. It also requires the county to survey the impacts of existing facilities, and examine the current regulations on those facilities to eventually suggest changes to those regulations. At Monday’s hearing, environmental and climate justice leaders testified in support of the measure. Many specifically noted the way that fossil fuel facilities disproportionately impact people of color and poor people. Now joining me to talk about this is Anthony Rogers-Wright. Anthony is a Seattle-based climate justice advocate, he’s the deputy director of Regenerate Nebraska, and he’s also on the board of the Center for Sustainable Economy. Thanks so much for joining us today, Anthony. ANTHONY ROGERS-WRIGHT: Thanks so much for having me. DHARNA NOOR: Talk about the significance of this moratorium. What kinds of fossil fuel infrastructure are in King County? What facilities will be impacted by this moratorium? ANTHONY ROGERS-WRIGHT: Yes, so I mean, it’s huge for King County, and obviously the entire state of Washington. We were still reeling from a pretty tough defeat of I1631, which would have been the carbon fee. So to see the resiliency of the climate justice community to keep going as they promised is really, really huge, and sends a message to the fossil fuel industry that we’re not quitting. Now, in terms of the type of facilities that this impacts in the next six months, our wholesale distribution facilities, terminals that are refining fossil fuels, and large bulk storage facilities, like that. There are some limitations, unfortunately. You know, this doesn’t affect federally regulated pipelines, nor, as we like to call them, bomb trains, or oil trains that traverse King County, and specifically the city of Seattle. But overall this is a major step forward for what our ultimate goal is, which is, of course, a fossil-free future for not just the state of Washington, but the entire Cascadia region and eventually the entire country. DHARNA NOOR: OK, so there are some federal regulations, or lack thereof, rather, that limit this ordinance. Is that also why the moratorium is also six months long? Some people might say that doesn’t seem very long. ANTHONY ROGERS-WRIGHT: Yeah. So that’s also, as you mentioned, it is an emergency ordinance. So there are some limitations when you are declaring an emergency which would call for the additional studies that you also mentioned. So obviously we don’t want it to just be six months. The idea is that in that six months we are going to prove that this moratorium needs to be longstanding. And we also will take that time to hopefully be able to fix our zoning regulations such that we can prevent new fossil fuel infrastructure from operating or being constructed, as well as permitting as well that would also have the effect of preventing new operations and construction of fossil fuel infrastructure. DHARNA NOOR: And other localities in the Pacific Northwest, Portland, Oregon, Tacoma, Washington, and several others have also taken aim at coal and oil and gas developments. And around here in Baltimore, too, some have worked on related legislation. Last year, Baltimore banned the construction of crude oil terminals and the expansion of existing ones. I covered that pretty extensively. And then also on the national stage there is House of Representatives like Ocasio-Cortez and Rashida Tlaib who are pushing a Green New Deal that has also called for a similar kind of ban nationally. Talk about what the national strategy is here, and how all of these individual localities are kind of working together. What’s the big picture? ANTHONY ROGERS-WRIGHT: Right. You know, I think that’s a really good question, because what we understand in the climate justice community is that this has got to be the bottom up as well as a top down process. So I’m reminded of an amazing article written by a very talented young woman named Victoria Scozzaro, who then was a student at Vermont Law School, talking about the importance of home rule law. And that was really hitting on the power of local municipalities to fix their zoning ordinances, as well as other permitting processes, to prevent new fossil fuel infrastructure. Then, as well, we also are going to need some help at the federal level for a uniform set of ideals and standards of what would actually apply to a Green New Deal. So that includes things like a moratorium outright on all new fossil fuel infrastructure, as well as other factors, like a just transition for workers to ensure that workers who transition from the fossil fuel economy to a renewable economy, or whatever other type of economy they want to be a part of, are taken care of during that transition. So it’s really an exciting time to see sort of this bottom up and top down process occurring simultaneously, because that’s really really important. We also know that people from local communities are going to know what the specific situations are in their local communities, especially as it pertains to our frontline communities of color and low-wealth communities. DHARNA NOOR: I’m glad you mentioned that just transition aspect of the ordinance, because here in Baltimore opponents of the crude oil terminals ban were really concerned about the impact that this could have on employment, on potential employment for Baltimoreans. And of course we have a big unemployment crisis here. But also opponents often raised that this could really hurt the city’s economy; that those looking to build this kind of infrastructure would just go elsewhere. Are you seeing that kind of pushback in Seattle? And how do you respond to that. ANTHONY ROGERS-WRIGHT: Right, sure. I mean, we obviously saw it bigtime in the entire state of Washington. The fossil fuel industry spend $30 million to defeat I1631. And it’s the, it’s the same old story that we hear all the time, of somehow pitting a fossil fuel future against a robust economy, like they’re mutually exclusive. We know that that is a very myopic way of thinking, that in fact we can’t depend on fossil fuels as part of our economy. That’s just actually a death spiral, really, because you can’t have an economy if you don’t have a habitable planet. We also know that renewable energy jobs are outpacing fossil fuel jobs, and that it’s actually becoming increasingly more cost effective to actually have a renewable energy economy. So that includes wind, solar, geothermal, and localized wind, solar, and geothermal, as well. So we’re actually seeing a decrease in fossil fuel jobs, including coal, which is an industry that is dying not because of the Democratic war on coal, but just because of a market-based economy. I mean, this is like capitalism killing itself, which is kind of a fun thing which every now and then. But you know, we need to stand up to those arguments and make sure that when we’re telling our story we’re coming with facts, and not just conjecture. Because these tired arguments from the fossil fuel industry need to be addressed and dismantled if we’re going to move forward. And the best way to do that, the best way to discuss climate change, to narrate climate change, is from a local perspective, because that way the people are going to be able to see themselves, and they’re going to be able to understand that this is affecting them directly right now, not at some distant time in the future. DHARNA NOOR: And a lot of people who testified in support of this ordinance talked not just about the long-term effects of investing in fossil fuel infrastructure and the effects of climate change, but also the effects of this infrastructure in the short term, the way that these infrastructures can pollute communities, can raise air pollution, water pollution. Talk about that. Talk about the shorter-term effects of building infrastructure like this. ANTHONY ROGERS-WRIGHT: No, you’re welcome. And I think that–you know, and I was like, I want to talk to her. Because the one thing I wanted to say was that, you know, that toxic air quality that was a nuisance for some people is everyday life for people in frontline and so-called fenceline communities, right. They are breathing in air like that all the time. We’re talking about the Bay Area, specifically communities like Richmond. So we have known for for decades now–I mean, go back to 1987 where the United Church of Christ under the leadership of Dr. Benjamin Chavis released a landmark report, Toxic Wastes and Race. And in this report it was proven that race, moreso than class, had to do with the situating of toxic facilities. So these facilities are literally putting communities of color–moreso communities of color and who happen to also be low wealth–in absolute and imminent danger. We know about communities that have monikers like Cancer Alley in the Gulf South. We see what’s happening to our Indigenous sisters and brothers all over the country, specifically in the Gulf South. The brave sisters and brothers who are fighting Kinder Morgan’s pipeline, Line 3 pipeline in Minnesota. So we know for a fact, and we’re not being hyperbolic, that these fossil fuel infrastructure, as we like to say, hit communities of color first and worst. And it’s been this way since there was a fossil fuel industry. So this is specific. This is really white supremacy on steroids, if I’m being honest. This is environmental racism. And those aren’t hyperbolic terms. This is just the reality of the situation that the sooner we shut the industry down and these pieces of fossil fuel infrastructure down, we are going to be saving more lives, we are going to be reducing healthcare costs. So it’s all interconnected. It’s all intersectional. Climate change is a radical system of oppression that’s going to require a radical approach to address and eventually dismantle it. DHARNA NOOR: And some Indigenous organizers also backed this moratorium. Can you talk a little bit about the impact that this moratorium could have on Indigenous communities in Washington? ANTHONY ROGERS-WRIGHT: Absolutely. I mean, we have seen time and time and time again that sovereign treaties have been broken by the various governments of the United States of America at the federal, state, and local levels. So this is a small step in returning the original sovereignty to the original people of what is now known as North America. And I would just say that anyone who’s listening to this that wishes to start a campaign that addresses fossil fuel infrastructure, if you’re not including the people who are indigenous to that land you’re actually doing a disservice to your to your movement and to your community. So it’s always a blessing and an honor to to work with the people who are indigenous to this land. And you know, it’s really unacceptable to not be in partnership with them, because they are also on the front lines of fossil fuel infrastructure, as it pertains not only to their health but also to their way of life. So we’re trying to defend that, as well. DHARNA NOOR: The Fossil Free movement is up against so much, though, not only on the local stage but also the national stage, obviously. We have a former industry lobbyist heading up the EPA; proposals for the Select Committee on the Green New Deal were shut down. Talk about how in the face of all of this opposition, all this monied opposition, organizers like you can ensure that this doesn’t just become the six month moratorium that fizzles out after that six months. ANTHONY ROGERS-WRIGHT: This is, this is hard work, and it’s definitely not something that you can do intermittently, right. It’s every day. I’m reminded of Cat Brooks, who just ran for mayor in Oakland, said, you know, I’m talking about every morning, every day, every night. You know, this is how we keep going. We know that we can beat big money with big organizing, right. Ocasio-Cortez proved that. You know, she was she was up against all odds. Ayanna Pressley, the new congresswoman from Boston proved that. Here’s a black woman who actually beat a white man in Boston, you know, who had more money than her. So those are some cracks of light that we can exploit and turn into broad daylight. We know it’s not going to be easy. I mean, we are trying to kill an industry that essentially is worth trillions and trillions of dollars. We’re asking an industry to keep 80 percent of how they make their money in the ground. That 80 percent is roughly estimated to be in the vein of $22 trillion. And we have to be honest, if someone asked us to give up $22 trillion, we probably wouldn’t do it without a fight. So we always knew this was going to be a fight. But what we’re seeing, though, is that it’s becoming more of an intergenerational community, working its way to becoming an international movement of young people, of women, of African Americans. Intergenerational, intergenderational. And I think that what we’re learning is that we have to come together on this. You know, we have some discrepancies within our community and environmental community that we have to work on. And the sooner that we work on ourselves we’ll be able to work on repairing the world, and repairing ourselves, and repairing relationships. And when that happens there’s not really much that can that can stop us. We take plenty of knowledge from our elders and from movements of the past, like the Civil Rights Movement, which was up against massive white supremacy and massive investment in upholding white supremacy. And we know that we’ve made some inroads. Still not anywhere close to where we need to be. But we know that we can make those inroads if we keep fighting, we keep coming together, we keep listening to each other and treating each other with love and respect, and just really telling our story, telling our truth, more and more people will come on board. We’ve already seen in polls that more and more people in the United States are becoming concerned with climate change, because they see it affecting them now. More and more people are open to the idea of what will eventually make the Green New Deal, which includes a federal jobs guarantee, massive investment, and job creation, as well as healthier air, water, and whatnot. People are starting to see children, young people, being impacted, and that’s why it’s so beautiful to see young people not waiting for the torch to be passed to them. They are taking it right now, because they know that their birthright is under attack right now, and they’re not going to just sit back and allow that to happen. 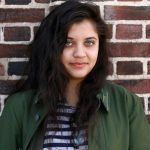 So when you see, like, 10, 12, 13-year-old young people getting involved, as well as young people in their 20s like our good friends from the Sunrise movement, Indigenous Environmental Network, UPROSE Brooklyn, historically black college and universities climate change initiative–they’re leading right now, and that’s a beautiful thing to see. You can’t deny young people for good. And when young people have decided that enough is enough, you know, I think that’s going to galvanize even more people. DHARNA NOOR: All right. Well, as we see how this moratorium plays out, this study and these new regulations in King County play out, and the Fossil Free movement across the nation play out. We’d love to stay in touch with you. So thanks so much for being on today, and hope to talk to you soon. ANTHONY ROGERS-WRIGHT: Thank you so much having me. Yeah, thank you so much.